Our clubhouse includes a large, newly-remodeled meeting room with a fireplace, several comfortable seating areas, a wood dance floor and a large-screen flat panel TV. There is also a full kitchen for the preparation of refreshments. Located at 270 Country Club Dr. 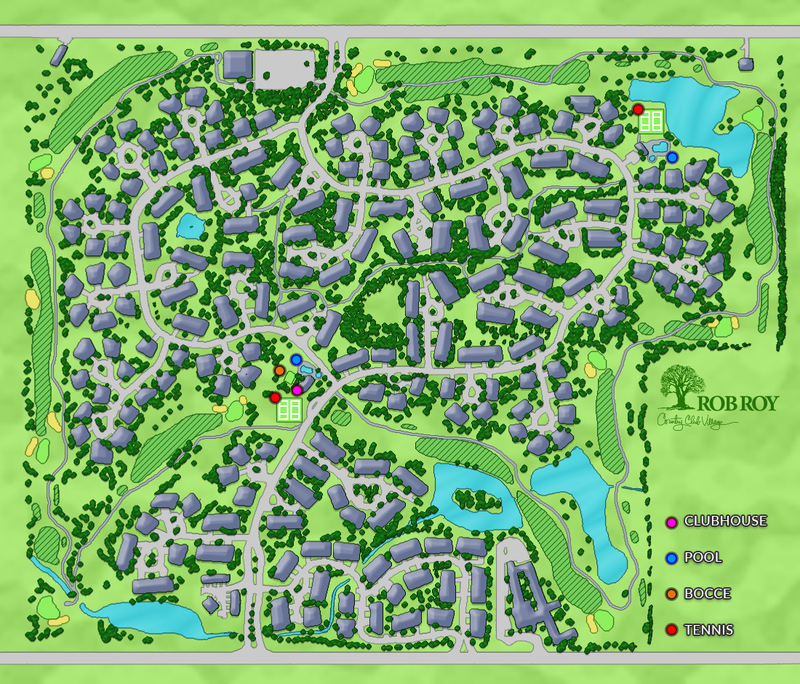 Located at 270 Country Club Dr. & at 93 Country Club Dr.
Two bocce courts are located directly behind the Rob Roy CCV Clubhouse. There are summer bocce leagues and the courts are available for resident use when leagues are not playing. 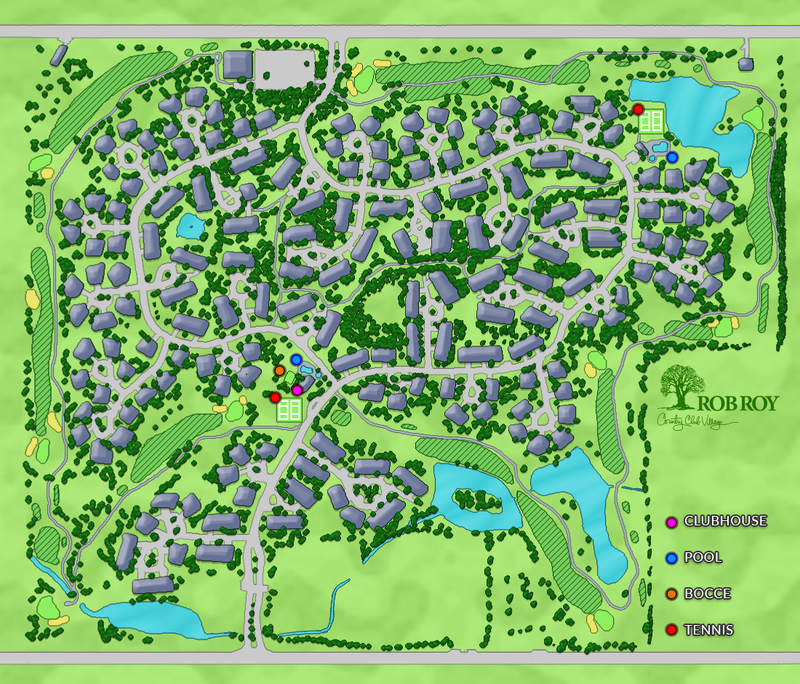 In addition to the sidewalk encircling the complex which weaves around the golf course, there is a paved walking trail through the wooded interior.